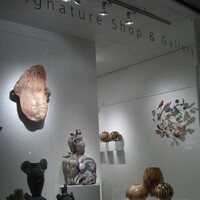 Signature Contemporary Craft features an exhibit titled "In Cahoots." 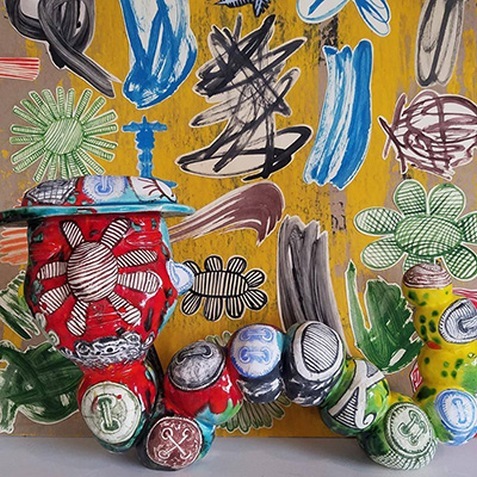 Curated by Mark Errol, the exhibit features work by Mark Arnold, Mark Errol, Ron Geibel, Abigail Heuss, Jess Jones, Michael Lucero, Matt Mitros and Kirsten Stingle. Also on view is "Lights Out" by Masa Sasaki.